The fou ndation of your house and the lay out isn’t everything. 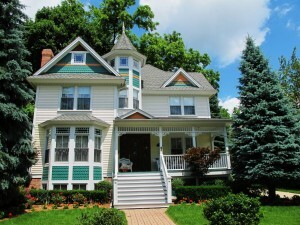 The exterior is also an important aspect of your house especially if you are planning or trying to sell it. How your curb appeal rates can either make or break a deal. I’ve seen a show where they are trying to sell the house for more than 2 years and one of the prospect buyers really loved the lay out and the design of the house, but because of the plain looking yard, she didn’t put an offer. After the show fixed their yard, offers started pouring in and they were able to sell the property in 2 months’ time. 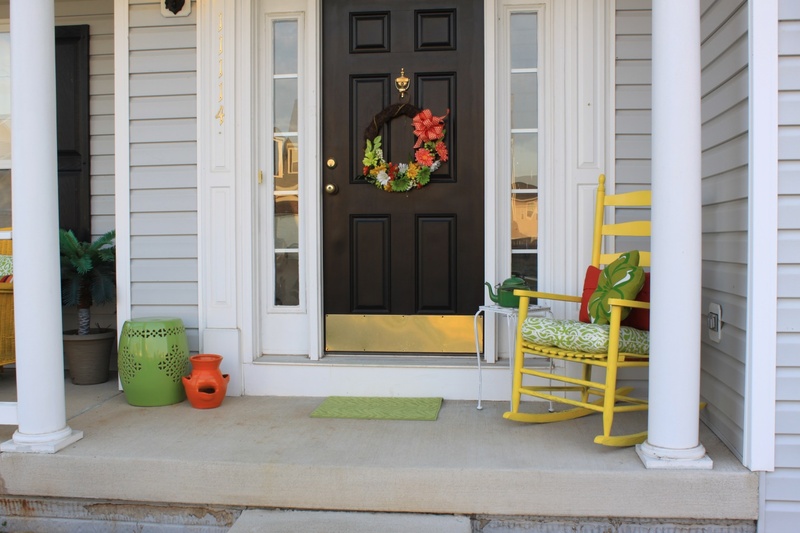 They started working on the door as it’s the focal point of the curb-appeal, choose a color that will stand out among the rest of the front view of your house, Choose a wreath or décor that reflects how your house looks like in the inside. A grand entrance can make your simple door pop out. Add casings or moldings on the top or side of your door to draw attention to it. It’s the entry way and you have to make sure that whoever enters your house will feel special and awed. Create a permanent welcome mat at your doorstep by tiling it. You won’t have to worry about replacing old and worn out maps. All you need to do is clean it regularly. Change old hardware, like the house number, light fixtures, and other elements that can make your house look old. Yes the buyers know that they are buying a second-hand house, but it doesn’t hurt to make it look and feel like it’s brand new. Give your mailbox a makeover, don’t let it stand alone. 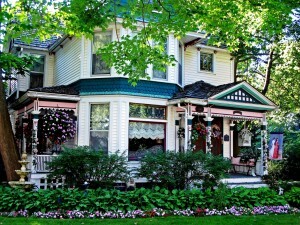 Surround it with flowers and plants and paint it with the same color as your house’s exterior. Installing window boxes can make your simple window look lovely and charming. For a traditional look, try boxes made of iron or copper, or wood for a cottage feel. Don’t be afraid to mix and match the colors of your flowers as long as it compliments your house’s color palette, it will work well. 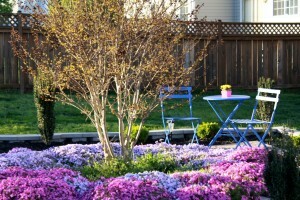 Get your garden beds into shape by pruning, pulling out weeds and planting flowers and adding new mulch. If your bed is bordered with stones, re arrange it and clean them. Add arbors or garden gates to your fence and this will add enhance your garden and the value and the curb appeal of your home. You may not find the same color that will compliment your house’s exterior, but you can simply repaint them to the same color of your house. Give your guests something to stop at and admire. Put a little piece of art in your yard, like a fountain, a birdhouse, sculptures or a wind chime, something that will stand out, but not overwhelmingly big. Outdoor lighting makes a big impact to your curb appeal when it comes to design, but also provides safety and security. It looks good on walkways and under the tress. Replace gutters and downspouts. Remember, you want your house to look good as new. You want your prospective buyers to think that you have taken care of your house throughout the years by updating and maintaining it. Repaint your exterior and sidings. Make sure that it looks kept and it doesn’t show any obvious defects such as cracked or rotting materials. Showing prospective buyers that your house’s facade has signs of neglect might drive them away. Upgrade your driveway by giving it a little repair. Kill the weeds and sprouting plants, then repair the cracks and stains and dress it up with flagstones. Build a walkway; it’s like the red carpet leading to your front door. Edge it with brick or stone pavers to add a traditional appeal. Lastly, change or upgrade your railings, this is one of the biggest things that they will notice in front of your house. Make sure it is pleasant to look at and most importantly that it is safe to lean on. Giving your exterior a makeover will cost a little, but if this will help you save time looking for buyers, then do not hesitate on shelling out a few thousands if you can have that money back soon once you sold your house.